One of the delights no theater enthusiast would ever miss on a trip to London or New York is a West End or Broadway musical. This performance, which mingles the worlds of acting, singing and dancing, can be a truly enchanting spectacle, one which we have never had the chance to experience on our home soil … until now! For the very first time in Lebanon and the Middle East we have a chance to get a taste of the drama in the production “One Night on Broadway”. This show, which gathers 25 artists and 25 members of the Lebanese Philharmonic Orchestra on stage, has already enthralled crowds on two fully booked nights at Casino du Liban back in May, and will be one of the most anticipated events at the Zouk Mikael International Festival this month. Yet the most exciting news of all is that this outstanding production was the creation of one of our own local talents, 26-year-old Roy Khoury, who graduated with honors from the ‘Broadway Musical Theater’ program at the New York Film Academy back in 2012. “One night on Broadway” is Roy’s personalized musical, an artfully designed compilation of excerpts from twenty of Broadway’s most famous shows. The musical numbers include Footloose’s “Mama Says”’, Chicago’s “All That Jazz”, Sister Act’s “Raise Your Voice”, The Addams Family’s “When You’re an Addams”, Les Miserables’ “I Dreamed a Dream”, Hairspray’s “You Can’t Stop the Beat” as well as extracts from the enchanting Phantom Of The Opera, among others. No two scenes are alike, with each stage setting distinguished by its unique décor, special costumes, and flamboyant troupe of actors, singers and dancers. Even better, no scene lasts more than five minutes, and the transitions from one to the next are as smooth as they are funny. Roy, the choreographer, director and musical director of the whole show wanted his musical to be a spectacular ‘tasting’ in which each member of the audience could find satisfaction. The high quality of the show is a reflection of the rich experience Khoury gained during his studies, internships (at the ‘Broadway Dance Center’ & ‘Steps on Broadway’) as well as his participation in some Broadway musical performances. He took part in productions of ‘Sister Act’ (backstage as hair & make-up artist), ‘The Lion King’ (on stage as dancer and puppeteer) and ‘Wicked’ (as backing actor & singer) in New York. Khoury has always been a fan of performance arts and, as a youngster, used to take singing, piano and violin lessons with private coaches, as well as dancing classes in studios. His passion knew no boundaries, until he was injured in an accident that put him in a coma for two months in the middle of 12th grade. After waking up from his coma, he decided to stop all other artistic activities and concentrated on filmmaking studies at the Académie Libanaise Des Beaux-Arts (ALBA). After two years, he stumbled upon the ‘Broadway Musical Theater’ program and applied on a whim. He received a callback within two days of submitting his video audition, and was invited to audition live in New York. The two years he spent at the New York Film Academy were a period of highly intensive training. While there, he studied music theory, musical theater and theatrical scene, acquired the major acting techniques such as ‘The Meisner technique’, ‘Stanislavski’s system’ and ‘Uta Hagen’s technique’, exercised his vocals to adapt to several music genres and performed all types of dances (Classical, Tap, Jazz, Ballet, Ballroom, etc.). Yet when he came back in 2012, he was disappointed to discover there was no place in Lebanon for somebody with his training. Broadway musicals were still foreign to the Middle East, and a university teaching position without a PhD was out of the question at any reputable university. 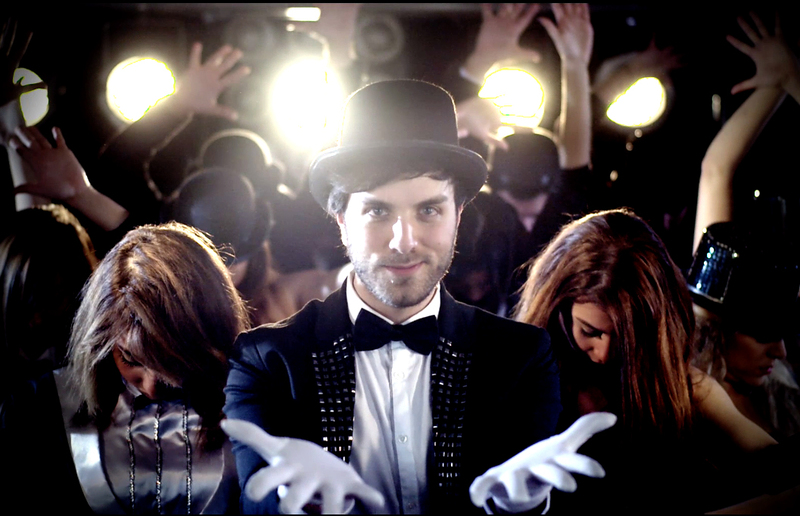 That is when he decided to establish his own dancing school – STEPS. For more than a year he experimented and innovated with his students, many of whom were interested in honing their skills and adapting them to the requirements of a musical. 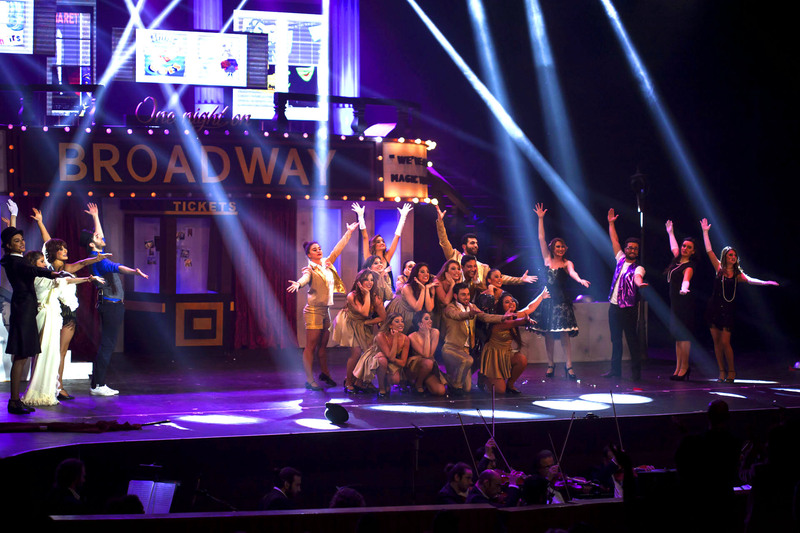 And that is how, just before the end of 2014, Khoury decided to create his first musical – ‘One Night On Broadway’ – featuring his troupe of acting, dancing and singing students! Success is often difficult to come by, but when it happens, it is truly a reason for celebration. Khoury is one of many talented young Lebanese, yet he is also one of the few who had the fortune of being around people who took risks on him simply out of faith in his abilities. But their risk paid off as the show not only sold out and thrilled audiences keen to discover a new form of theater, but also raised the bar in our theater scene. Local talent and creativity is yearning to unveil itself, and we hope that “One Night on Broadway” will be the first in a long line of future Lebanese musicals.